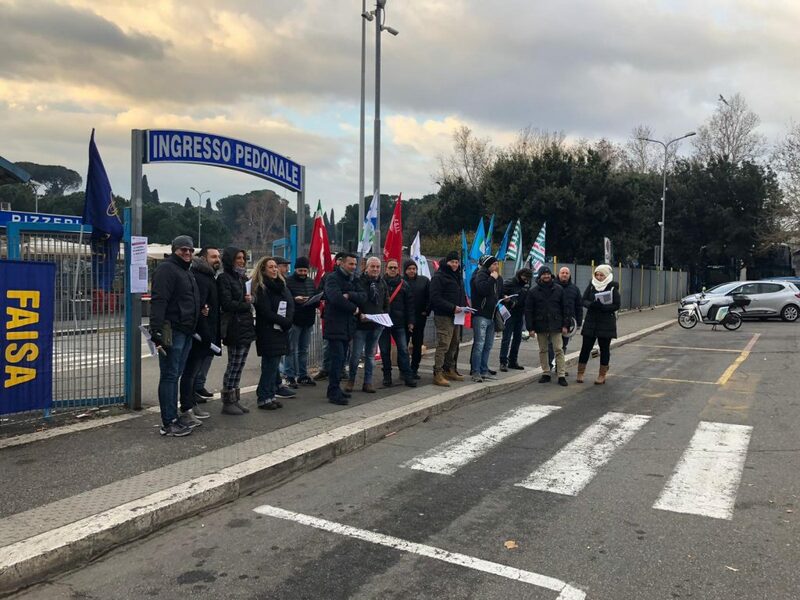 1300 truckers passing through the port of Genova and resting in surrounding parking areas were handed leaflets setting out the risks for their working conditions in Thursday’s vote. 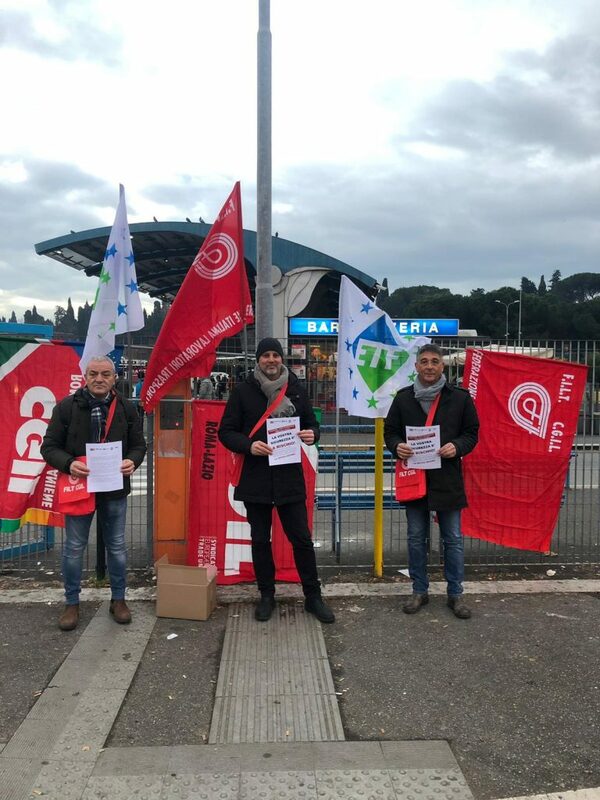 Activists from Italian unions FILT CGIL, FIT CISL and UILTRASPORTI prepared leaflets in Italian and 5 Eastern European languages, to distribute to drivers from all over Europe. Sadly drivers will have a lot less rest if MEPs reach a danergous compromise on the EU Mobility Package. Some proposals say they should have to work for 3 weeks with just two days rest (instead of 2 weeks with 3 days rest under current rules). 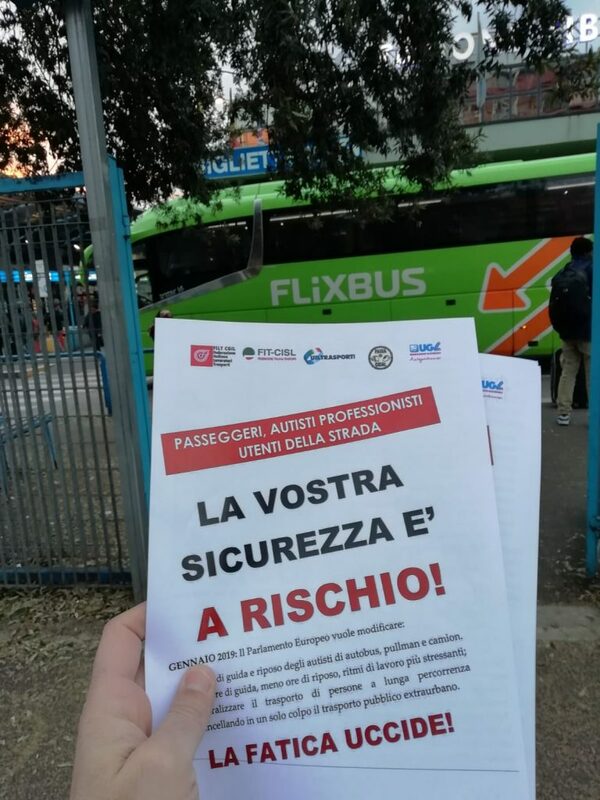 This was followed on 8+9 January with leafleting actions towards drivers and the public in Milan, Turin, Venice, Genoa, Bologna, Florence, Ancona, Rome, Naples and Bari.